In autumn you can feel time passing. You can feel the days draw in and the year fold upon itself. As each shorter, chillier day comes to a close you're reminded that this is a season of change, of transition from a time of warmth and sunshine to one of cold and darkness. This realization adds a poignancy to the season that some feel as a tinge of melancholy, and others as a surge of energy and invigoration after the indolent days of summer. And if you're an artist you try to capture this changing mood, the last glorious blaze of the foliage, the lengthening shadows, the particular warm glow of the fading light. 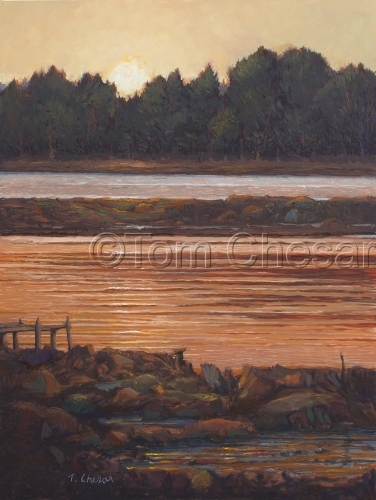 Tom Chesar painted the rosy glow of an autumn sunset on the water. He says of his work, "The sunsets in Maine over the water can be spectacular and I just had to try to capture this at Ash Point. The words that come to mind about autumn are its crispness, golden light and pleasant temperatures; a totally unique season. 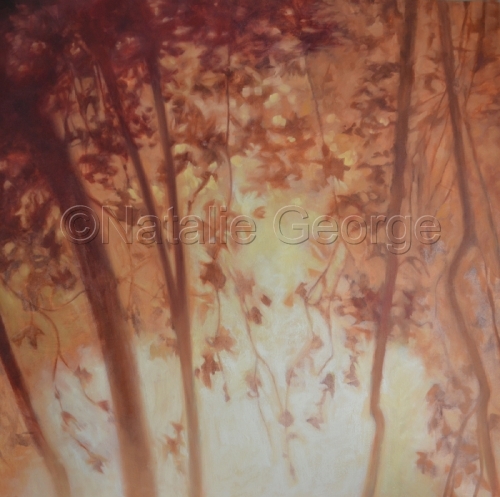 The use of light is an integral part of my paintings. Light and shadow create compositional direction, mood, texture and volume…The slanting light of morning or late day, the illumination at night of towns and the natural lights in the sky all fascinate me." 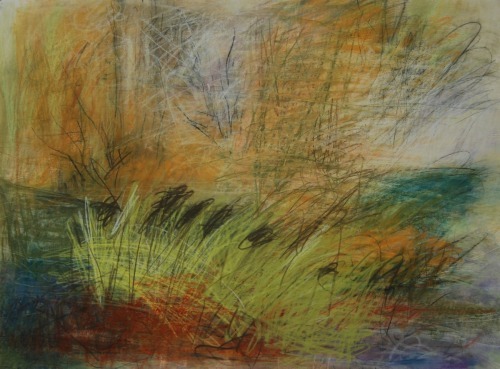 Kristina Thalin’s mixed media work “Marrow” suggests a glimmer of golden light in a world becoming increasingly pale and grey, filled with subdued hues. 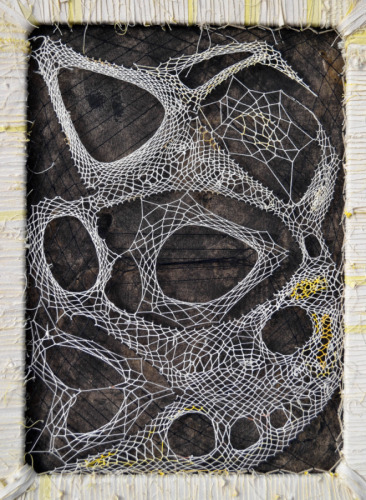 "The artwork is inspired by images of bone cells, using the same weaving technique applied when creating a dreamcatcher net. I'm fascinated by the fact that repeating a simple shape can create unique and complex-looking forms, similar to cells multiplying and forming an organism. The materials in the work were actually "harvested" or recycled from old works of mine. Autumn is a time of harvest and transformation, and I believe this work transforms the manmade, recycled materials into a work that reflects nature. I was also born in the fall so I've always felt a close connection to the season. 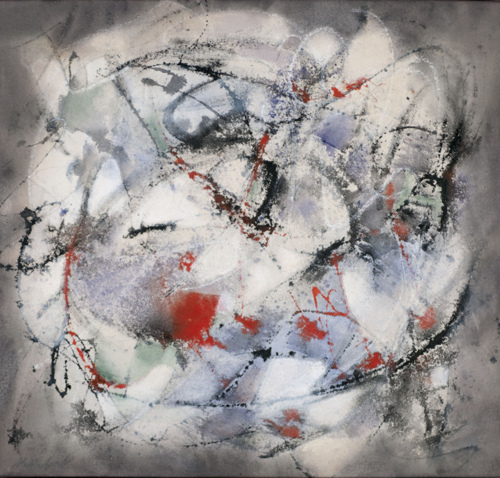 As for painting light, in order to illuminate a work there needs to be a certain depth to the painting, whether it is through different values of layers, or height through a buildup of texture, or through color juxtaposition...a color can be darkened or illuminated, brought to the forefront or hidden in the background depending on the color you paint next to it." Autumn is an end of things, a time of closing in and falling, but this ending is part of the cycle that will bring new life in the spring, growing even now under a layer of dried leaves. And while the days dwindle, we can appreciate bright bursts of color, and the glowing autumn light that illuminates them.